This dress was a lot of fun to make. Super quick and easy. That is if I had butchered the hem the first time around and ended up redoing it 3 times. But best of all it is incredibly comfy! 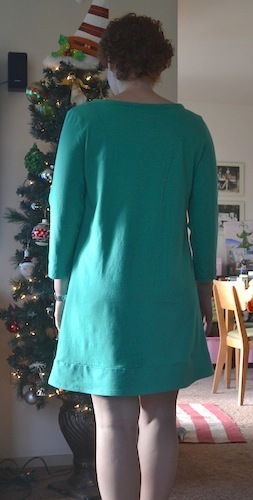 This dress is prescribed to be made in something more along the lines of a linen or crepe but I loved the t-shirt type layout so I made it in a solid knit jersey instead. 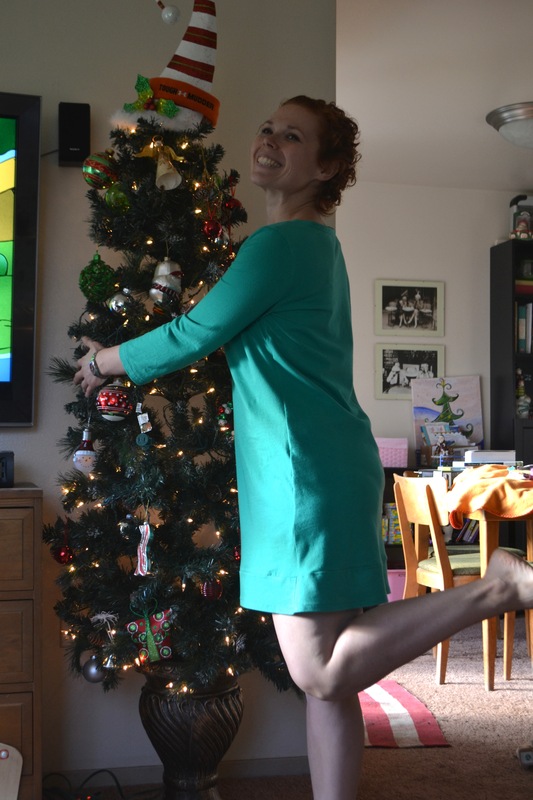 I think if I would have made the pattern in linen instead I would have stuck to the pattern sizing but with the tad bit of extra stretch I ended up having to take the pattern in substantially. 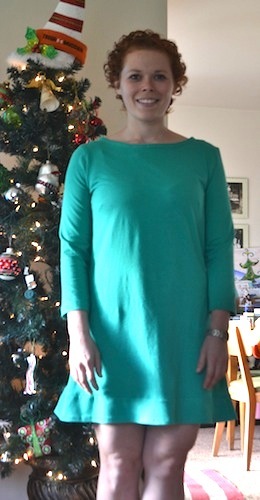 When I first tried it on Geoff politely referred to it has a lovely “teal moo-moo”. Not exactly the look I was going for. 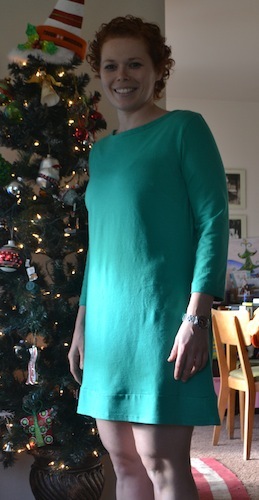 Once I paired it down it really fits like an t-shirt dress should. This was my first time working with knits. It definitely has a learning curve and I am really wishing I would have done my research before I started sewing instead of after. There are a couple of things that I noticed once I finished that I could have done differently. Oops. I have really enjoyed sewing with it though so I did find a couple plain t-shirt patterns to really get my feet wet, one of which is the Plantain T-Shirt from Doe and Deer (its FREE!). Hopefully it turns out as nice as all the reviews. This is a pattern I don’t doubt I will make again. It is so simple in design that I can make all kinds of fun changes to it!